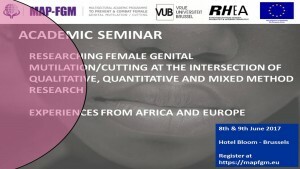 The 8th and 9th of June 2017, the Vrije Universiteit Brussel and RHEA organized the 2nd Academic Seminar of MAP-FGM at Hotel Bloom in Brussels entitled Female Genital Mutilation/Cutting (FGM/C) at the intersection of qualitative, quantitative and mixed method research – Experiences from Africa and Europe. A link to the programme can be found here. The aim of the seminar was to discuss the added value of research in the campaign towards abandoning FGM/C, the do’s and don’ts and propose recommendations for researching FGM/C. Academics and professionals from Europe and Africa presented papers on qualitative, quantitative and mixed methods research on FGM/C. I was invited to speak the first day about the methodologies of my PhD research. The Multisectorial Academic Program (MAP) to prevent and combat Female Genital Mutilation/Cutting (FGM/C) is an innovative project aimed at raising awareness, knowledge and skills of future professionals in contact with possible victims of FGM/C in the European Union. Part of this project is the development of a Multisectorial Academic Training Guide on FGM/C, which is available here. In the second place, a course on FGM/C will be developed that will be inserted into the curricula of Medicine, Nursery, Midwifery, Law, Social Work, Education and International Development in five pilot Universities of four European countries (including Belgium, Italy, Portugal and Spain). At least 500 university students will receive an integral training to effectively prevent and protect girls and women against on FGM/C. 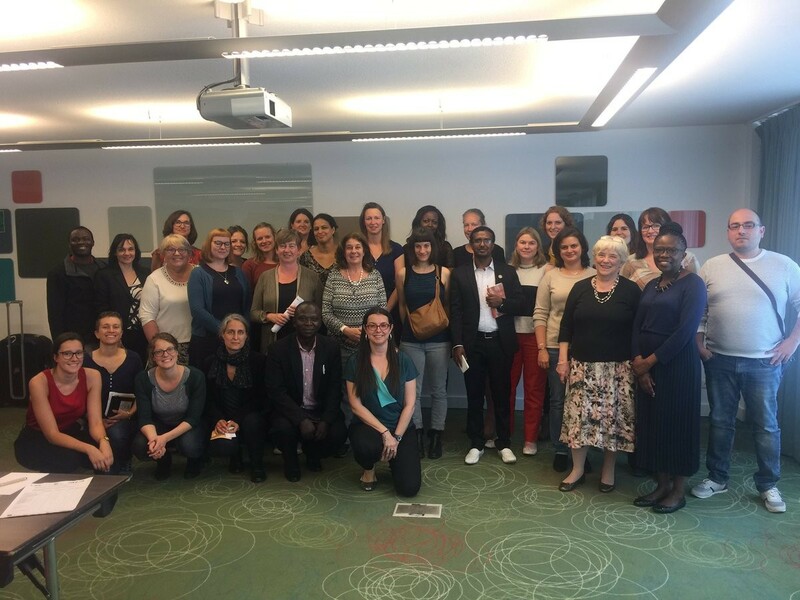 Thirdly, the project organizes four international academic seminars (in Madrid, Brussels, Lisbon and Roma) which allow members of the academic community, professors, researchers, public administration and NGOs workers to increase their expertise on FGM/C. The 1st Academic Seminar of MAP-FGM took place from 3-4 February 2017 in Madrid and was entitled Sociocultural and legal aspects of Female Genital Mutilation/Cutting: Transnational Experiences of Prevention and Protection. A link to the programme can be found here. The Major of Madrid opened the seminar and the panels included presentations of experts from Kenya, Mali, Egypt, Gambia, Norway, Sweden, France, Belgium, Britain and Spain. During the two days, they were able to share the results of their research and studies and analyse in a comparative way national and local policies and experiences of prevention and protection. More than 150 people attended the seminar and the videos of all 7 panels are available online. I would highly recommend to have a look and watch the panels if you could not make it to this seminar. 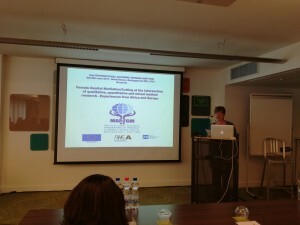 The 2nd Academic Seminar was organized by Els Leye and took place in Brussels. In the remainder of this year, the two other International Academic Seminars are scheduled as part of the activities of the MAP-FGM project, the 3rd seminar will take place in Lisbon on September 28th and 29th and the last one in Rome on November 24th and 25th. The seminar in Brussels was opened by Karin Vanderkerken (Vice-Rector Research of the Vrije Universiteit Brussel) and followed by a presentation of Gily Coene, the director of RHEA (Centre of Expertise Gender, Diversity and Intersectionality). Anne van Nistelrooij of the European Commission was the last presenter of the opening session, who gave a presentation on the work of the Daphe Programme in relation to FGM/C and explained how the EU contributes to eliminating FGM/C globally. The focus of this seminar was on the different research methods used to study FGM/C, including qualitative, quantitative and mixed method research. 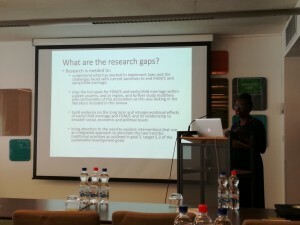 Academics and other researchers from different African (including Kenya, Ethiopia, Nigeria) and European countries (Belgium, the Netherlands, Switzerland, Sweden, France, United Kingdon, Ireland, Spain, Norway) presented their research and their research methods in particular. They explained what went well, but also focused on several aspects of their studies that they would have done differently. In addition, research gabs were identified as well by the presenters. I absolutely enjoyed this seminar, especially because there was enough room for questions, which resulted in interesting and fruitful discussions on the way FGM/C could and should be researched, both in the European, as well as the African context. The seminar was also a great opportunity to meet other experts in the field, to share experiences and to get up-to-date on the research projects that colleagues are currently working on. All speakers, including myself, will write a paper about their presentations of this 2nd Academic Seminar, which will be published in a book volume. I would like to thank the organizers of the seminar, especially Els Leye, for the great experience and we’ll see each other again in Lisbon!